There's no faster way to identify the players that are making an impression at the highest level than with real time statistics. 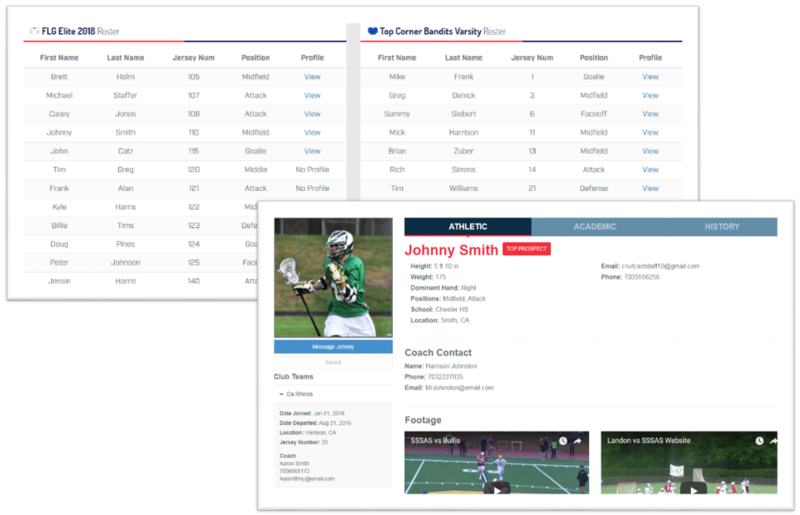 By offering the support of qualitative data, the Live Recruiting Platform allows college coaches to pick out a top performer and immediately access their Player Live Account - complete with a personal video library, academic, athletic, and contact information, and cumulative statistics, college coaches can grab the intel they need and get back to the live action. 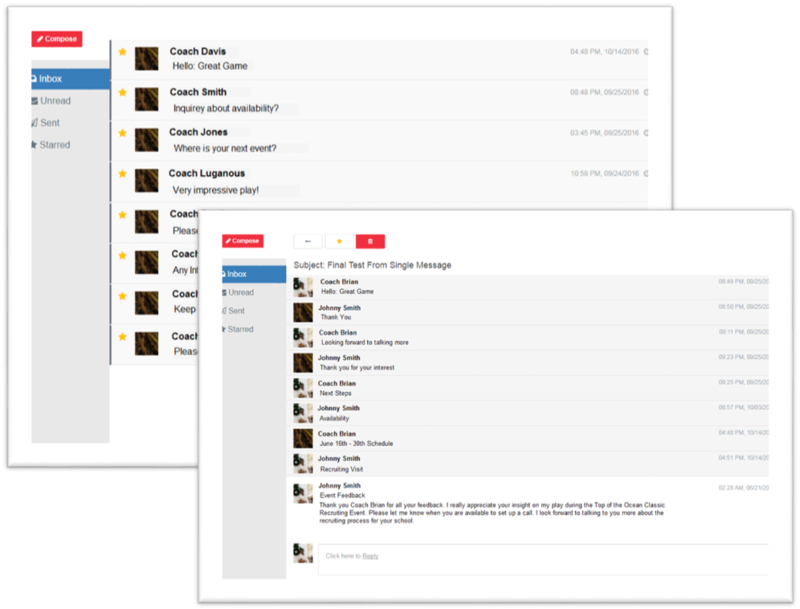 Using a proprietary messaging system, college coaches control the communication channels. Athletes can respond to the messages sent from prospective programs, but they cannot initiate contact. This keeps the ball in the coach's court and prevents the spam-like messaging that has become common place today. Players gain by focusing on programs that have an interest in them, but can still grab a coach's attention by adding his or her program to their Aspire List. College coaches have a hectic recruiting schedule and what good is a live stream if you can't watch it later? That's why game film from each event is available on demand in the Video Archives. 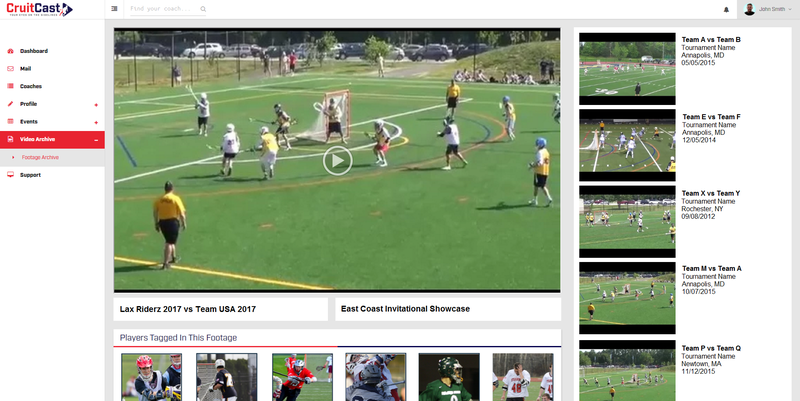 Coaches can search by event, team, or player to review full games, recap game stats, and re-watch event highlights. 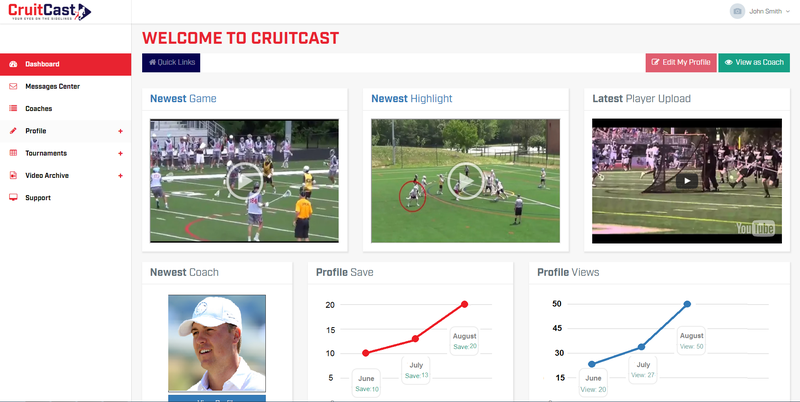 Each video is tagged with Player Live Accounts to let coaches know who is on the field. Players can now apply today's newest tech to their recruiting game with a Live Account in the Live Recruiting Platform. College coaches from across the country access our live streaming video to build their programs and scout the next class of student-athletes. Paired with real time statistics, coaches get an enhanced view of which athletes are performing. From there, coaches can quickly access important player recruiting information and get back to the action. 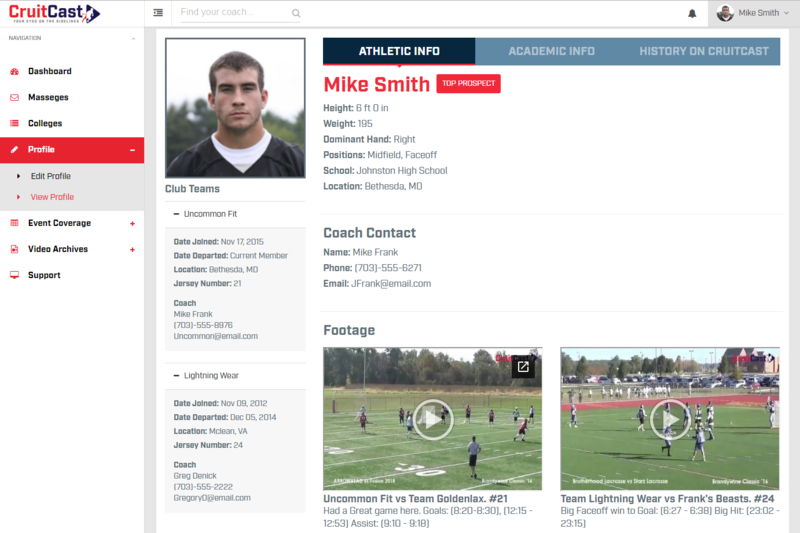 By creating a Player Live Account, players can give coaches all the information they need to get recruited. 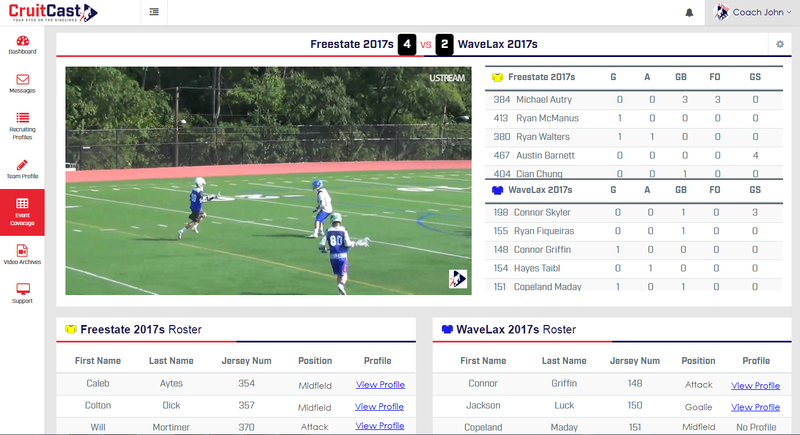 With a personal video library, cumulative statistics, academic, athletic, and contact information, Player Live Accounts allow college coaches to recruit coast to coast without timing, staffing, or financial limits. Increase your exposure and maximize your recruitment potential while competing live for coaches and viewers across the nation with a Player Live Account. Athletes can use the Player Live Account dashboard to monitor messaging metrics like opens and responses as well as track daily and weekly profile saves. 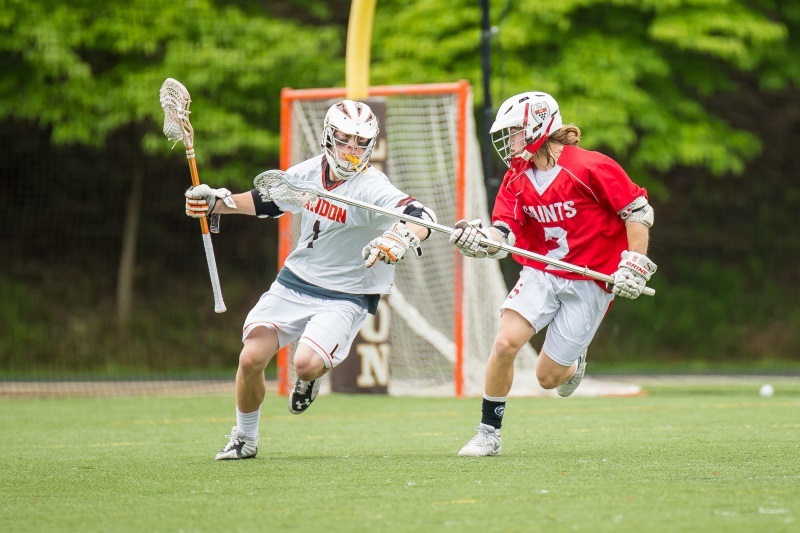 Players get notified when college coaches are saving their profile and sending them messages. 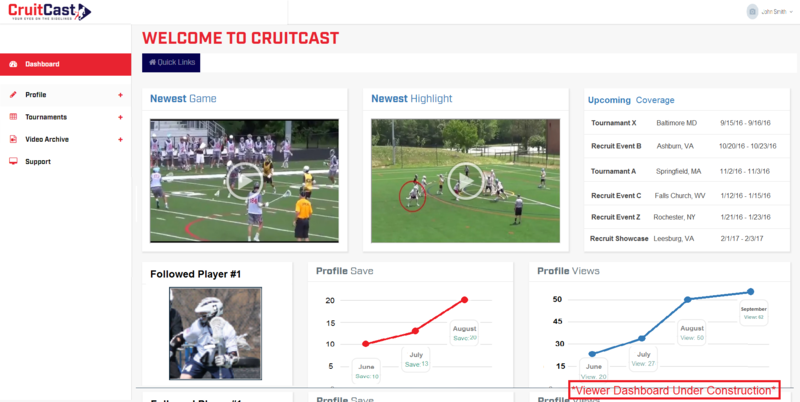 Players can stay up to date with the latest CruitCast or customer content uploads and see which college coaches are watching. Family, friends, and fans - watch your favorite athletes play in real time even when you can’t be at the field. With live streaming video, out-of-town family and friends can cheer from afar and parents can support the team no matter where it travels. Many families play catch up with multiple athletes under one roof, now no one has to miss a game just because they're standing on a different set of sidelines. Upgrading a Viewer Live Account to a monthly subscription opens access to the Video Archives where viewers can catch up on any missed content. All live games are added to the Video Archives after the stream is finished. Viewers can tag Player Live Accounts in the footage so that college coaches know who is on the field. Video Archive access also includes Delayed Download - free video downloads 3 months after a live event. This affordable alternative to purchasing game film is completely editable and can be uploaded or shared on other platforms.